THIS HOME IS MOVE IN READY! A lot of the mechanical work has been updated fairly recently- just move in and change to your cosmetic liking! Carpet installed within this year. NEWER STAINLESS STEEL APPLIANCES INCLUDED IN SALE. Newer gutters & window screens. Large 2 car garage & the cutest little horse house awaiting to be remodeled; it already has electricity! 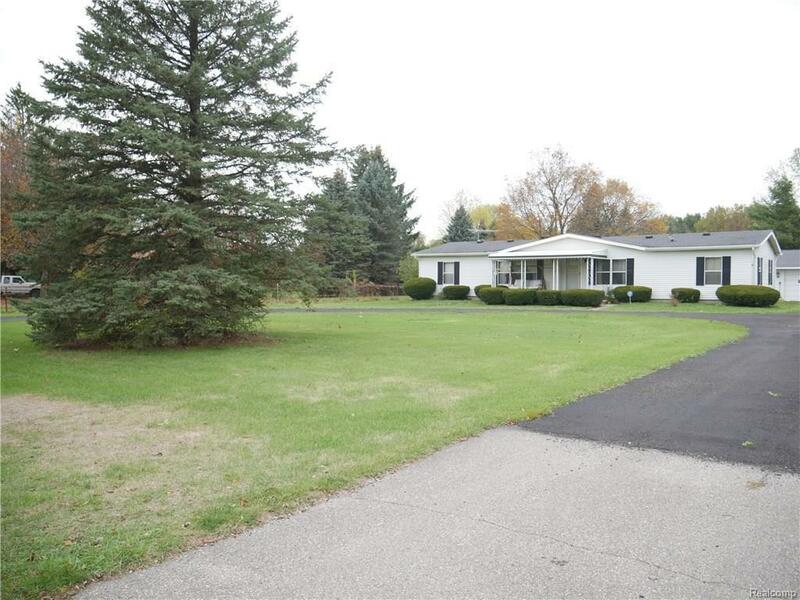 This is the perfect home for a small family with lots of land(nearly an acre) to build on.